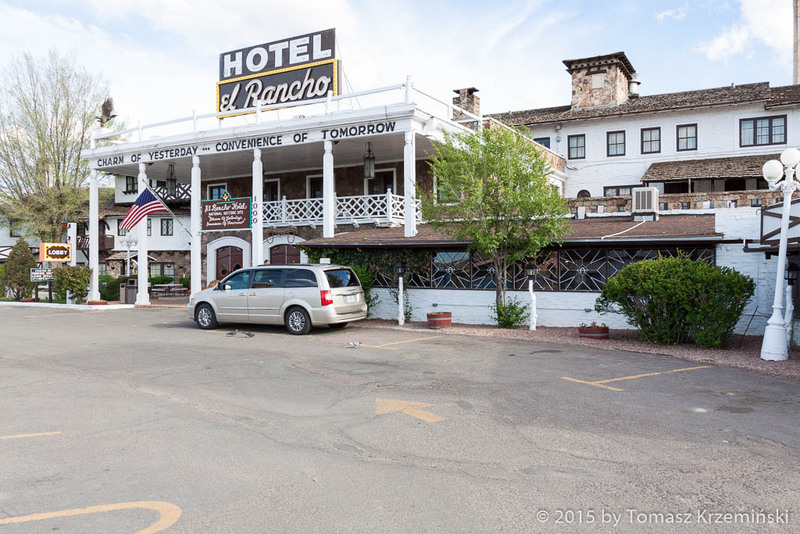 El Rancho Hotel in Gallup NM is owned by Ortega family, who also run shops selling Indian jewellery. The commercial relations between Ortega and American Indians are dated from a long time ago, and that’s why the name of Ortega is a well known brand in this part of the USA. The city itself is an Indian world capital and they organize here Inter-Tribal Indian Ceremonial – annual reunion of different tribes. 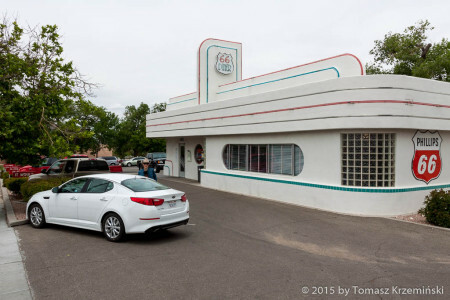 Hotel was built in 1937 and since then countless number of Hollywood stars slept here. Their photos hang on walls all over the hall. A social life vibrated here and in the well known restaurant and casino. 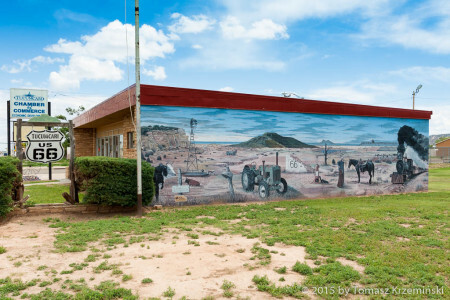 Armand Ortega bought this hotel in the 80., leaving its main part for a sightseeing. 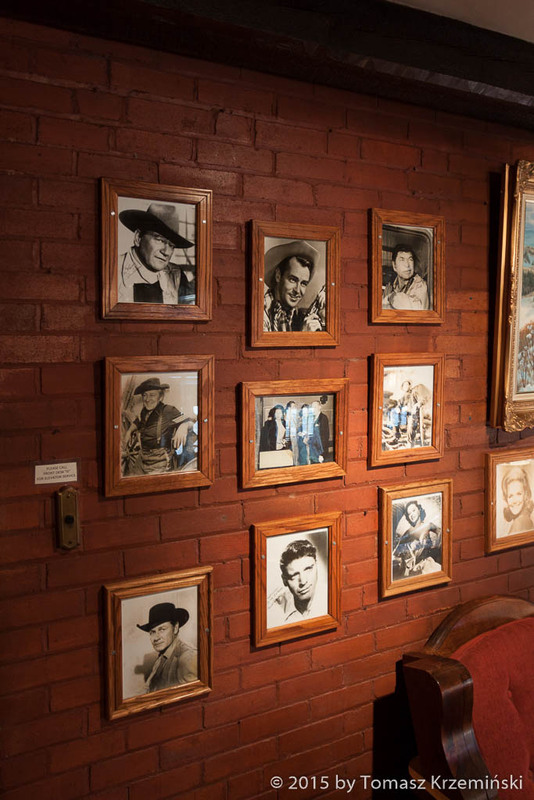 The interior is incredibly beautiful – you need to come here at least once and feel this atmosphere of Indian-Mexican culture and famous cinematography from the beginning of its glory. 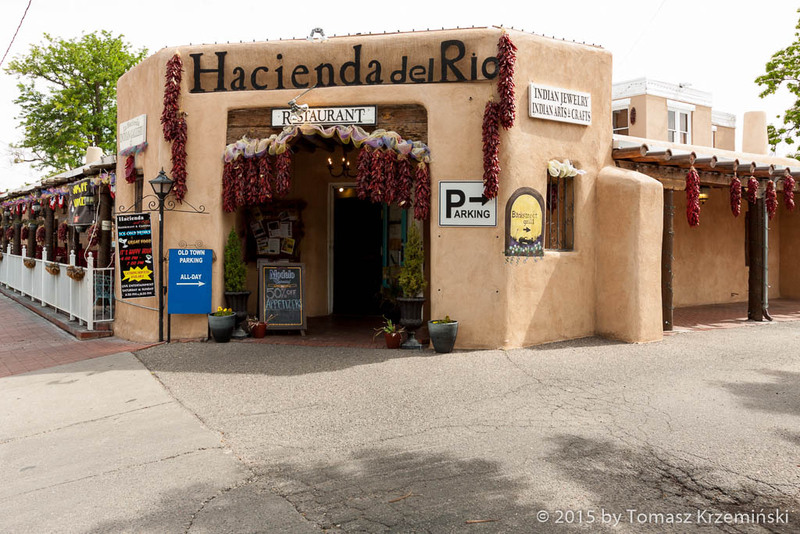 Old Town is enchanting historical district of Albuquerque NM. 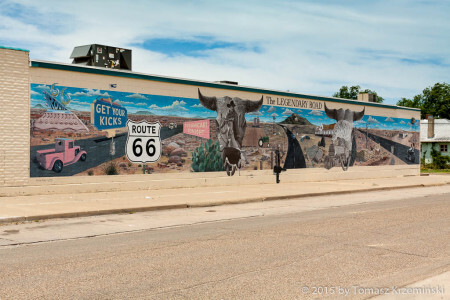 Route 66 running through this city used to be the most busy section of the Trail. 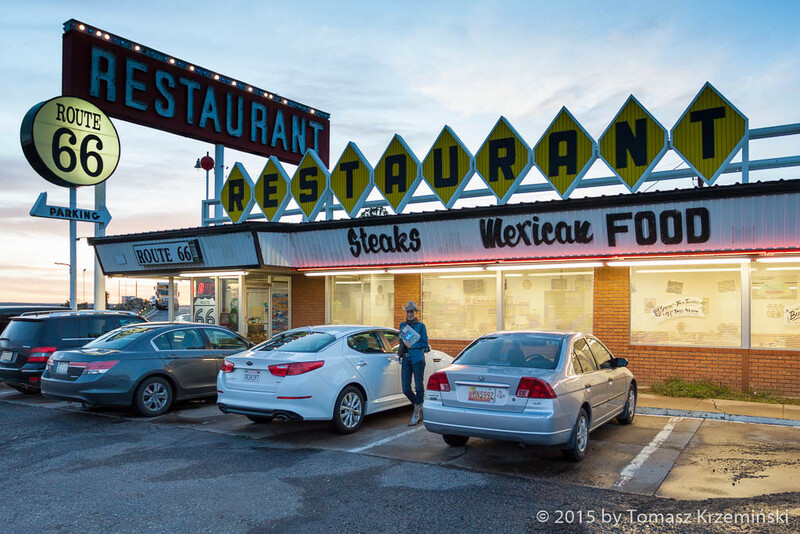 Albuquerque is famous for Central Avenue which is the longest avenue in the world. On the buildings in New Mexico chillies get dry. In restaurants, together with delicious Mexican dinner, they serve sauces of two kinds, asking: Red or green? It’s easy to make mistake if you follow your European palate. As we experienced on our own tongues, the red sauce is eatable and the green one is extremely spicy. Who will take up a challenge...? 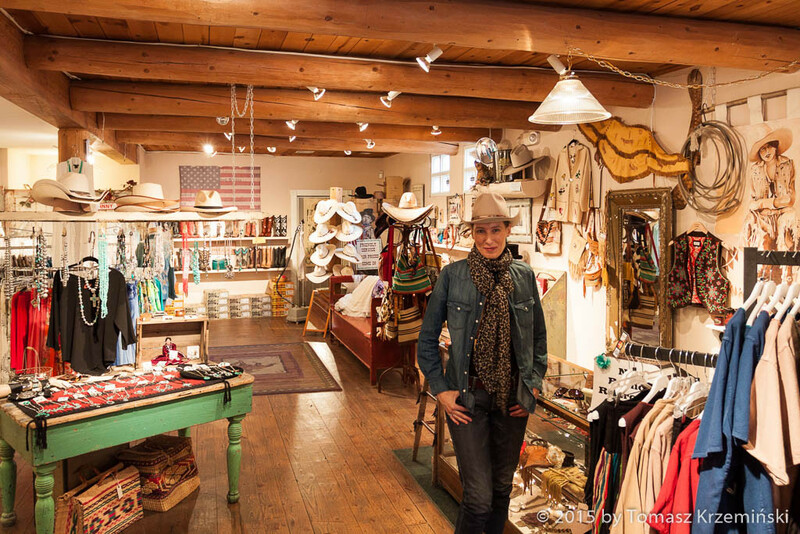 ... with a lot of shops and boutiques, even exclusively for Cowgirls “Vintage Cowgirl”... oh! 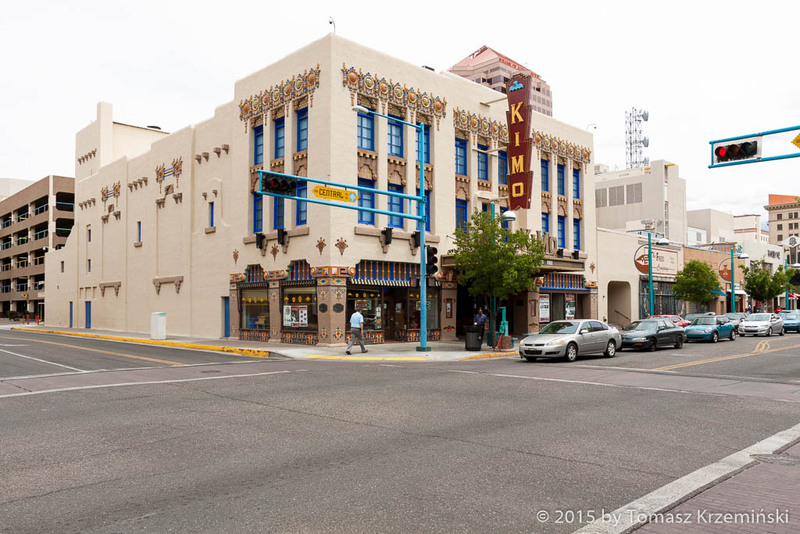 Kimo Theatre in Downtown was opened in 1927 in beautiful building in Pueblo Deco style (it’s typical of local Mexican architecture). 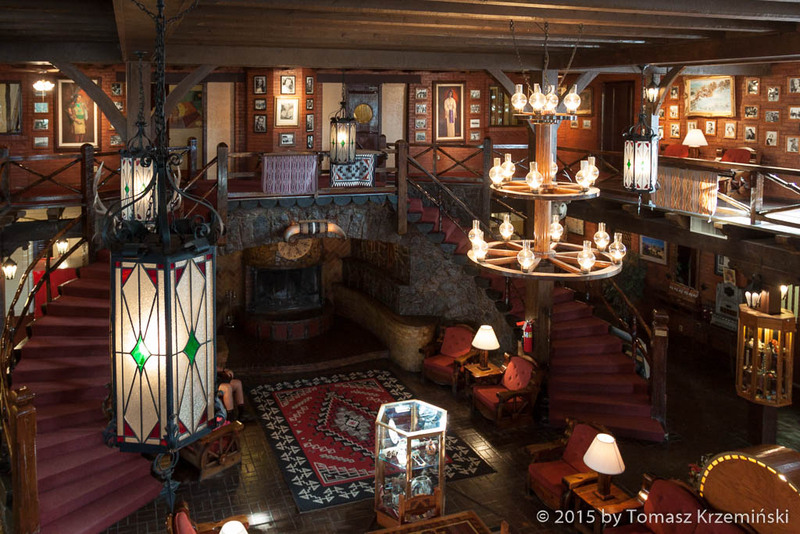 Inside the decor is almost so unusual as in El Rancho Hotel – in these days we are not used to such movie theatres. Repertoire is also untypical, e.g. they play here “King Kong” but in three versions: from 1933, from 1976 and from 2005. 66 Diner in Albuquerque is a restaurant where the members of New Mexico Route 66 Association have meetings. 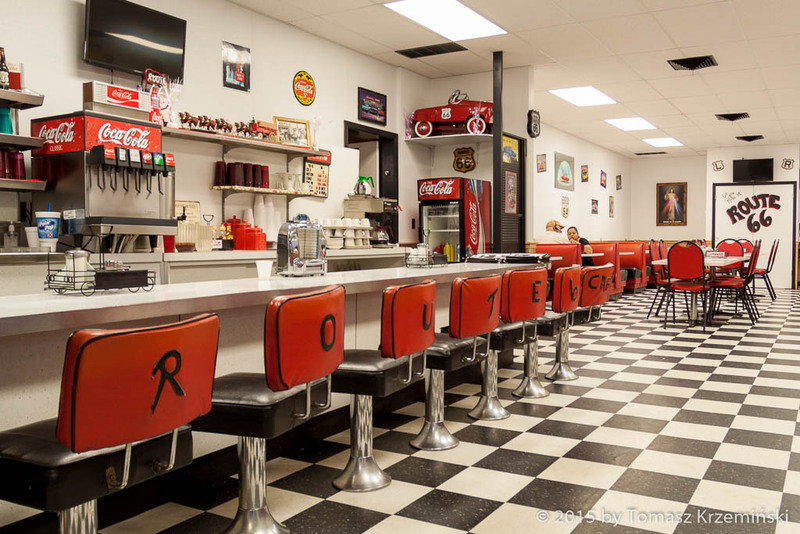 That’s another example of a diner which doesn’t look good from the outside (at least in our European eyes) but inside you can’t believe where you find yourself. Among hubbub of the guests you wait in a queue(!) to get a table, because there’s such a good cuisine. 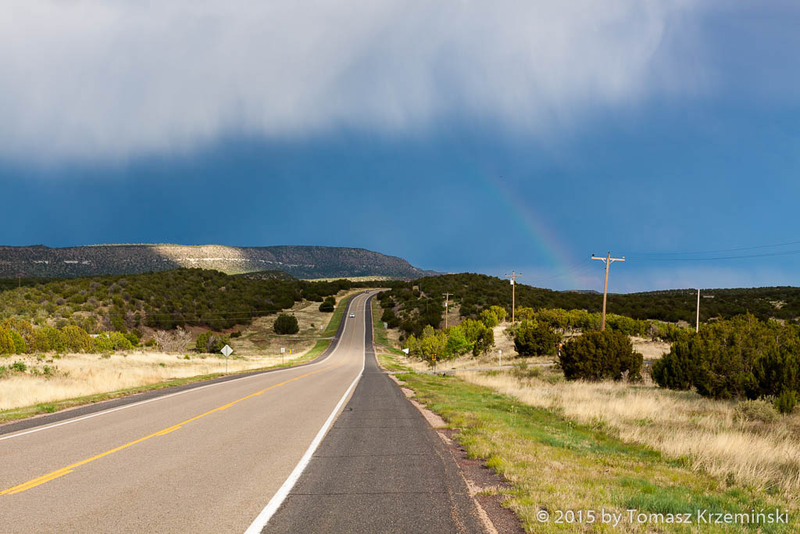 To Santa Fe NM leads pre-1937 Route 66 – exactly in that year a short cut was built which connected directly Santa Rosa with Albuquerque. It saves 4 hours of journey. 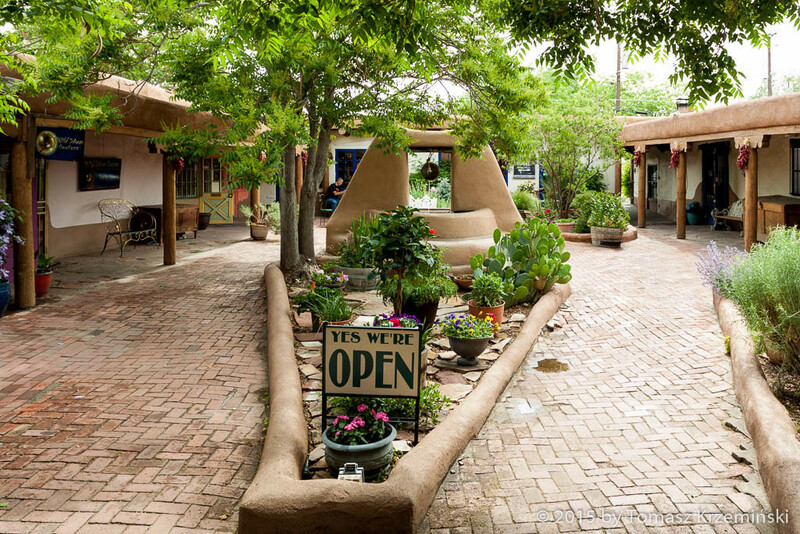 Nevertheless Santa Fe is an amazing Indian city and it’s not worth missing it. Santa Fe Plaza is a main square in this city. 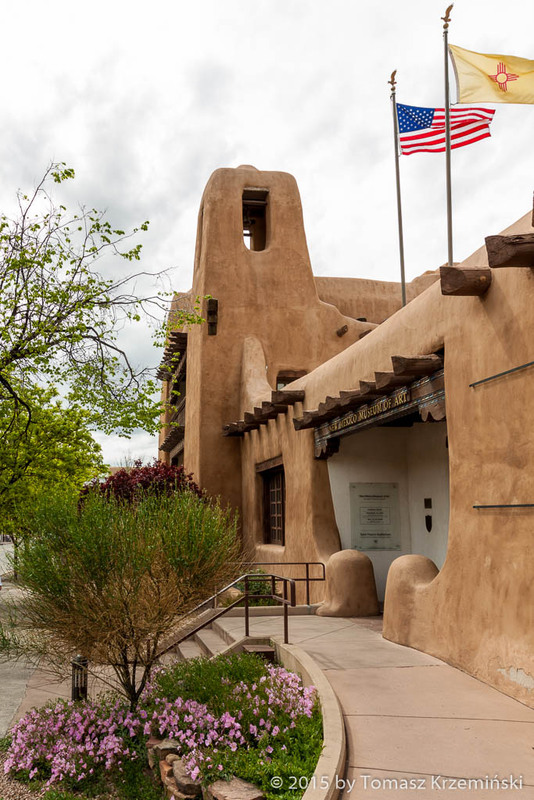 Palace of Governors was built in 1610 (the year of establishing the city by the Spanish) in Adobe style. It is the oldest official building in the whole USA. 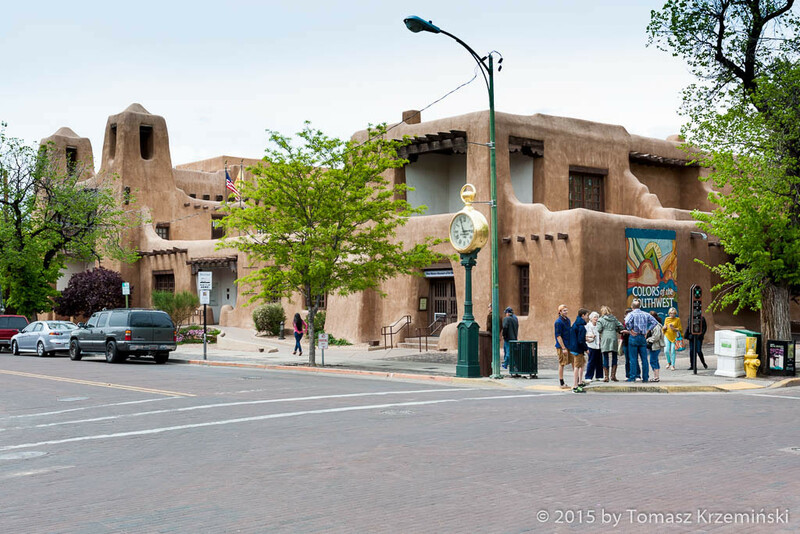 All of the buildings in Santa Fe are made of brown-orange clay. According to municipal authorities regulation you are not allowed to build different buildings than that. 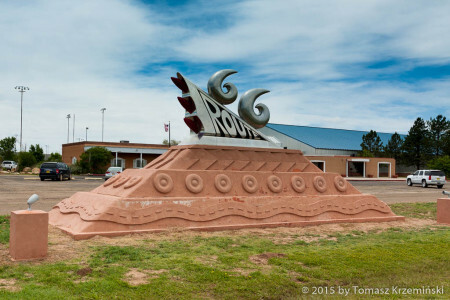 Thanks to that they keep the origin architecture initiated by Pueblo tribe living in this region. The art on the street – it’s an ordinary view in many cities of the USA. 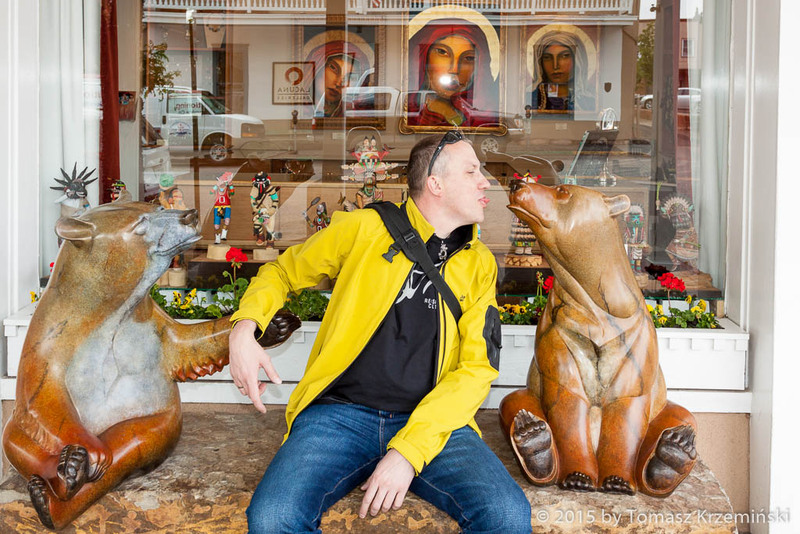 Here especially – hundreds of galleries, exhibitions and markets in Santa Fe form a huge nation- and worldwide work of art market. Every day on Santa Fe Plaza in square’s stalls or around right on the pavement American Indian unfold their blankets, squat and sell their goods, beautiful jewellery mainly. I bend down to reach the silver bracelet – great engraver, heavy, wonderful but... the price is 1000$. You can tell by the number of sellers that there’s no lack of people eager to buy it. Mexican food in some shed? Once more we are convinced that “handsome is as handsome does” because here we found a stunning colorful interior and delicious meals. That’s a set to consume and not to forget ever. 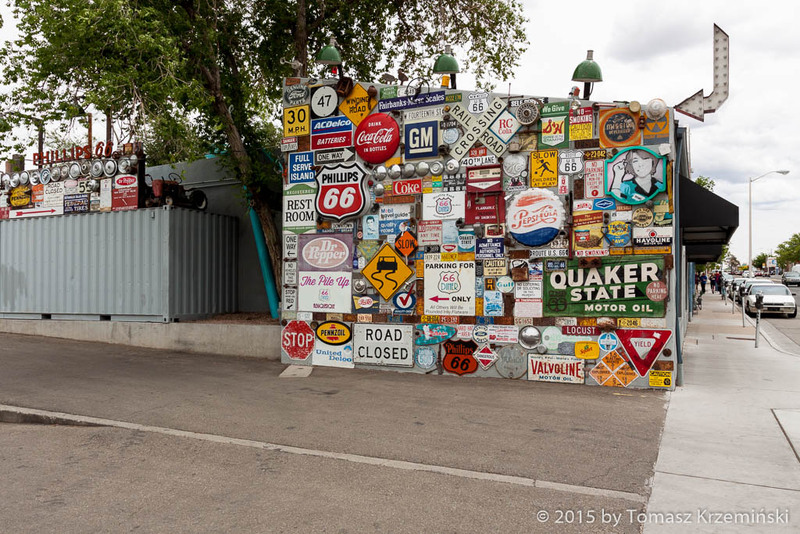 If you have time on Route 66, it’s worth taking the longer way. It’s also worth stopping wherever you like, reversing your car and turning back. On this road you do it without any problem and you always get rewarded for one more move of the wheel. 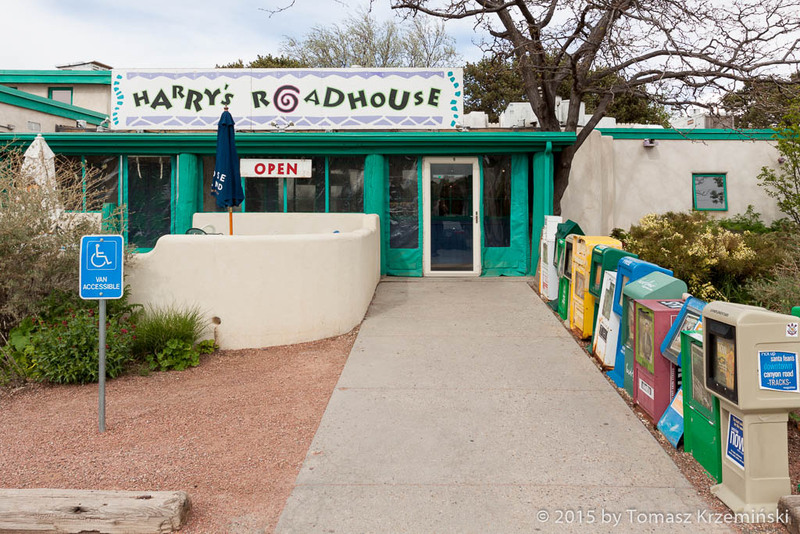 Route 66 Restaurant in Santa Rosa NM. Manifestation of creativity, even for very little money, give you joy on Route 66. 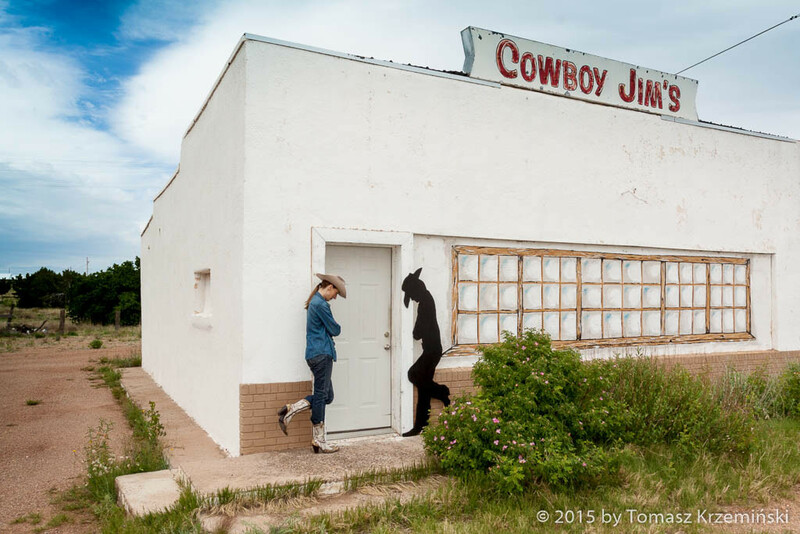 The cowboy’s model, painted window and sign on the roof was enough to create attraction at the road out of decaying building. 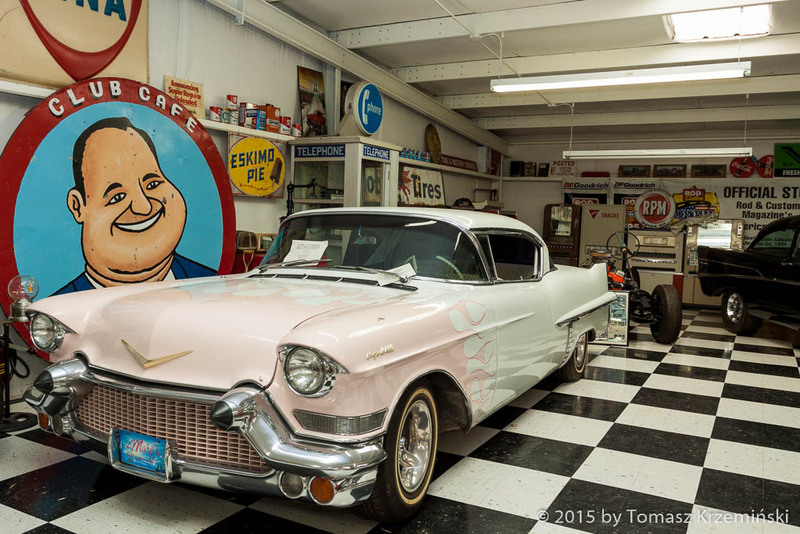 Auto Museum in Santa Rosa – a big hall with unbelievably restored old and older American cars. At the walls around there’s many souvenirs regarding directly to motorization. At the entrance there’s a gift shop. Car’s lovers, as we are, cannot get out from here and they see a breath-taking view and admire these handmade work. Many of these cars are for sale! The English, the Danish, the Australian have bought cars here lately. Dodge Coupe a 1939 model standing in the middle of the hall (for 30 years was left in barn in Arkansas and wasn’t even started up) belongs to the English couple. 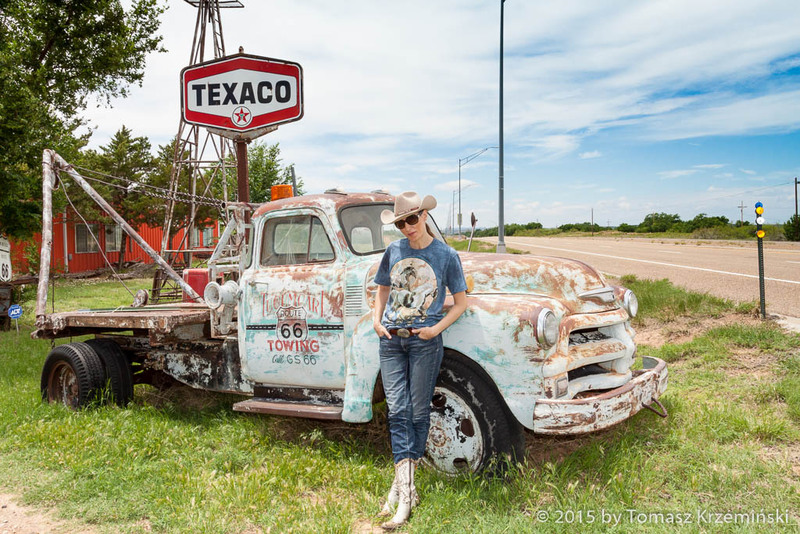 They come to Santa Rosa every two years, take their car and go for a long ride on Route 66. Then after few weeks they park their car back in museum and take a plane home. Till the next arrival. We envy the idea and a great imagination! This is the owner of the Auto Museum and the garage on the other side of the street – James “Bozo” Cordova. 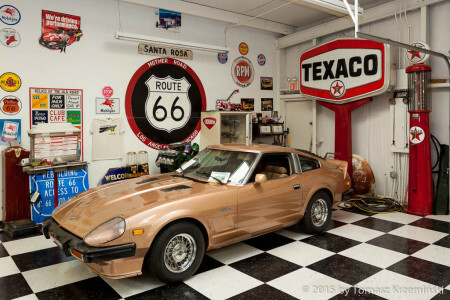 A handyman knowing history of motorization and loving cars. 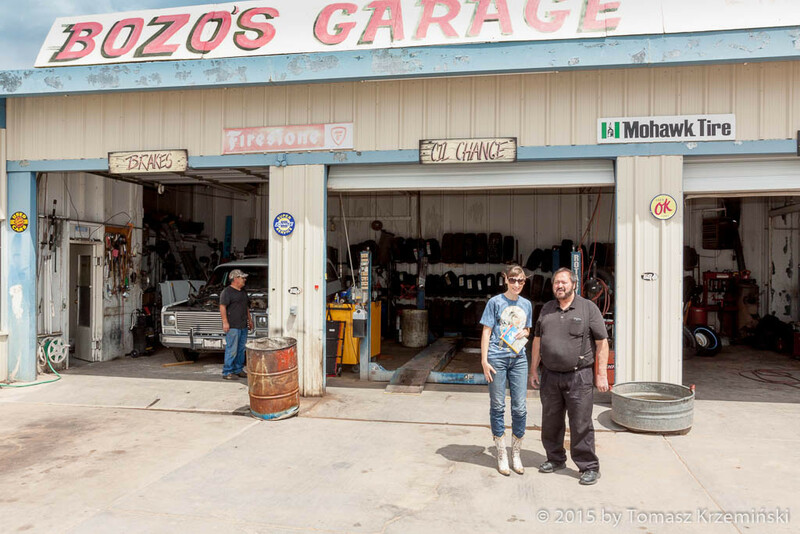 This is him, together with a close team of car mechanics – he says they are a family, who thoroughly restore old vehicles. 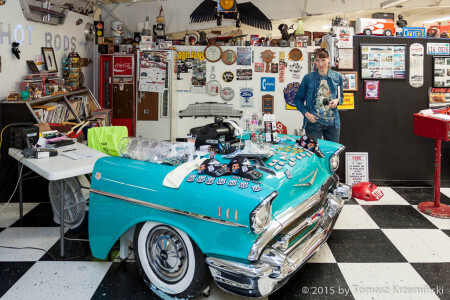 Bozo as a 6-years old boy put together his first model car, and as a 12-years old teenager – a real car. Since then he does this only. He opened the museum 15 years ago (in 2000) and he runs the garage for 37 years, with the same team. Bozo! We are still impressed by your work and love for cars, which we recognized in every detail of the cars that came out from your garage! 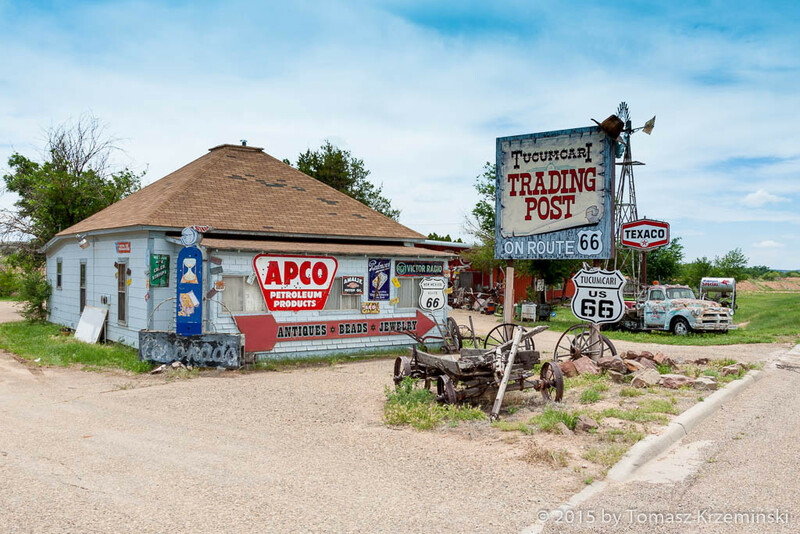 Trading Post in Tucumcari NM. This shop is so close by the road. Outside there’s a lot of old license plates, wheels, fuel pumps and empty oil barrels, mixed with iron constructions of unused machines and farming equipment. Again we walked around this collection like we were bewildered – we liked it so much. In Tucumcari there’s almost 30 murals commemorating Route 66. We go around, ask, look for it and admire. 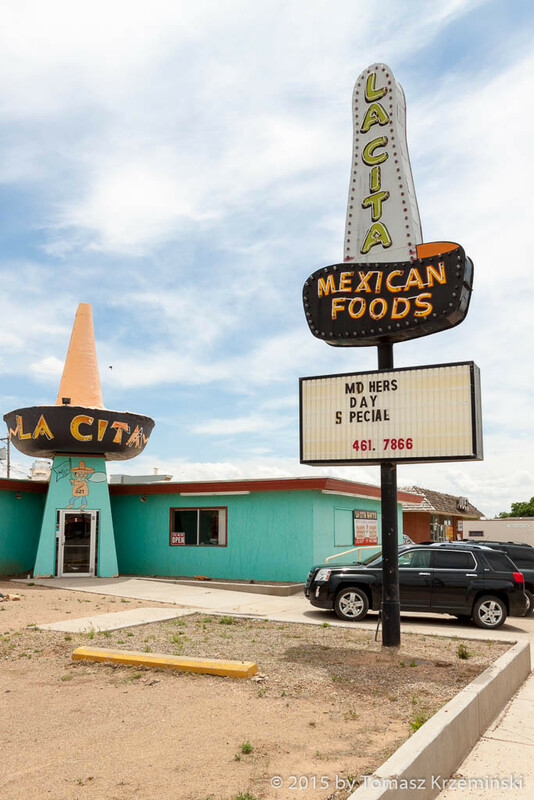 La Cita Restaurant – you can tell at a glance that it’s Mexican. 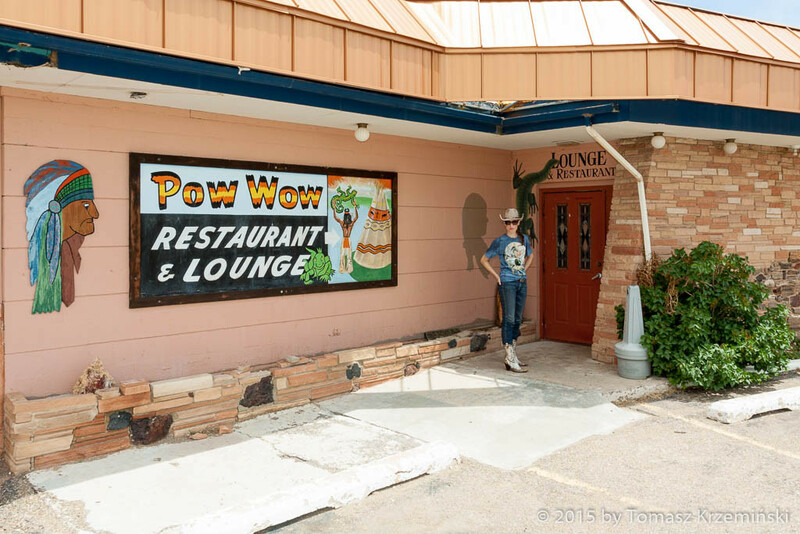 Pow Wow Restaurant – pow-wow in North American Indian tradition is a tribal or inter-tribal convention with ceremonial dances and singing. 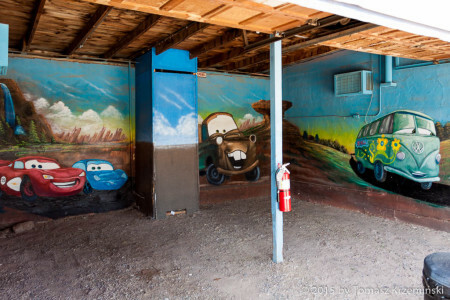 You need to get inside, at least because of the paintings on the walls. 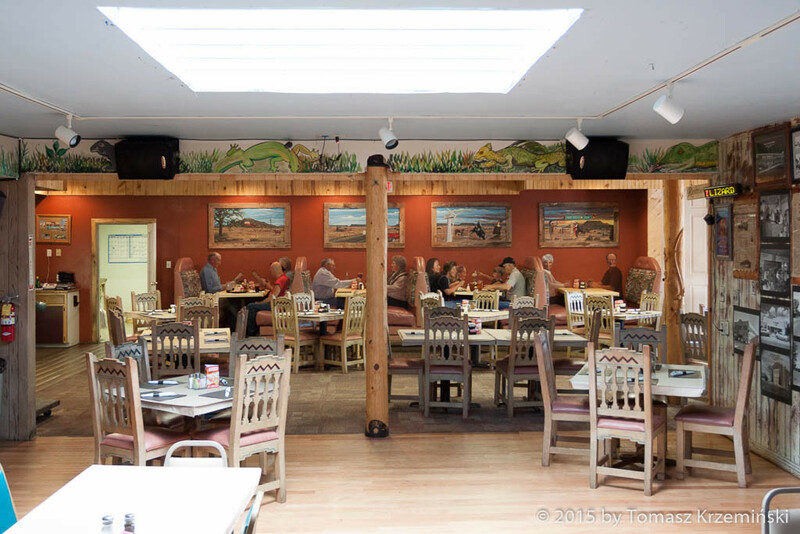 On one of them guests of the restaurant are painted as they seat at the tables. When you stand at the doorway you can’t distinguish the painted people from the real one who really seats at the tables having their meals. One of the most famous on Route 66 Blue Swallow Motel. 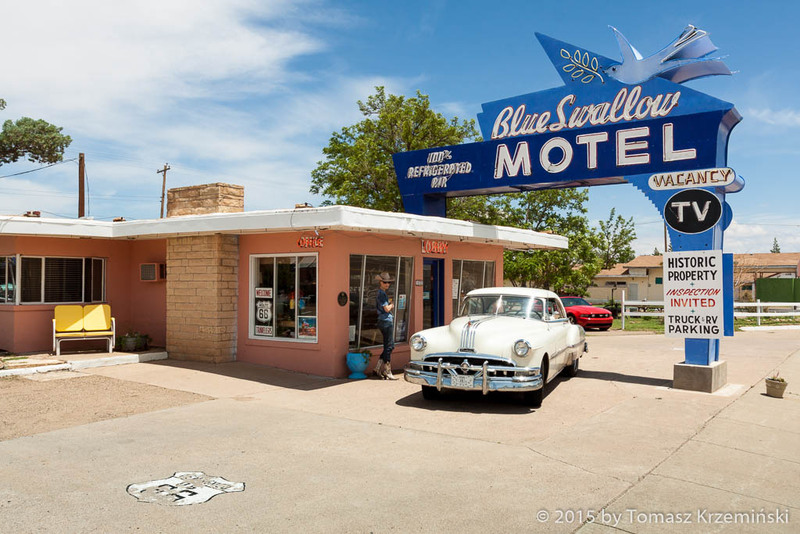 It became famous, among other things, thanks to the great blue neon sign of a swallow. 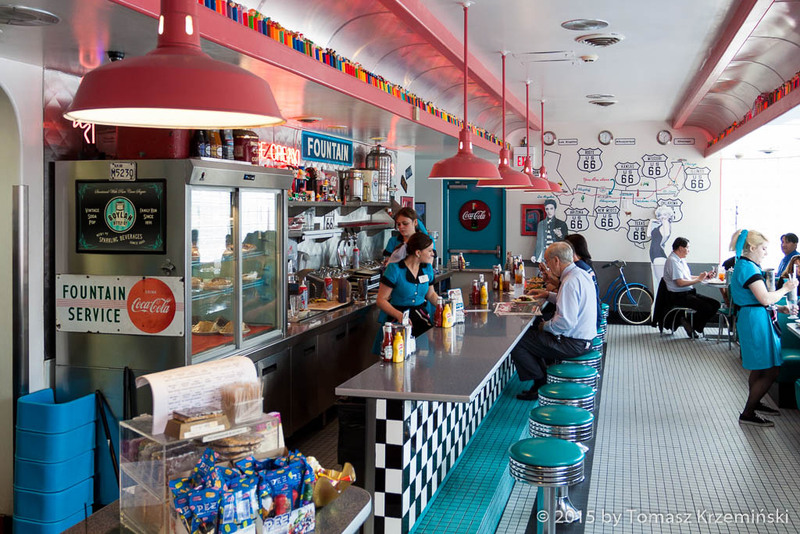 In the USA the bigger and more colorful is the neon sign the more famous is the place and the more often visited, and on Route 66 the more cult is such a place. It is run by Kevin and Nancy together with their son Cameron and his wife Jessica, who moved here purposely from Kentucky. 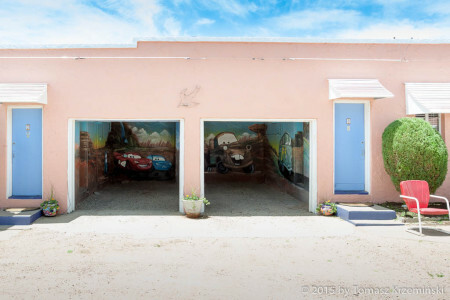 Next to each room is a roofed parking lot – each with a different leitmotif: there are the cars from the movie “Cars”, there are characters from “Easy Rider” movie, and there are just maps of the whole Route 66 with a portrait of Cyrus Avery, who is called the Father of Route 66. In one of the parking lots is old Hudson parked – they don’t produce this car anymore. 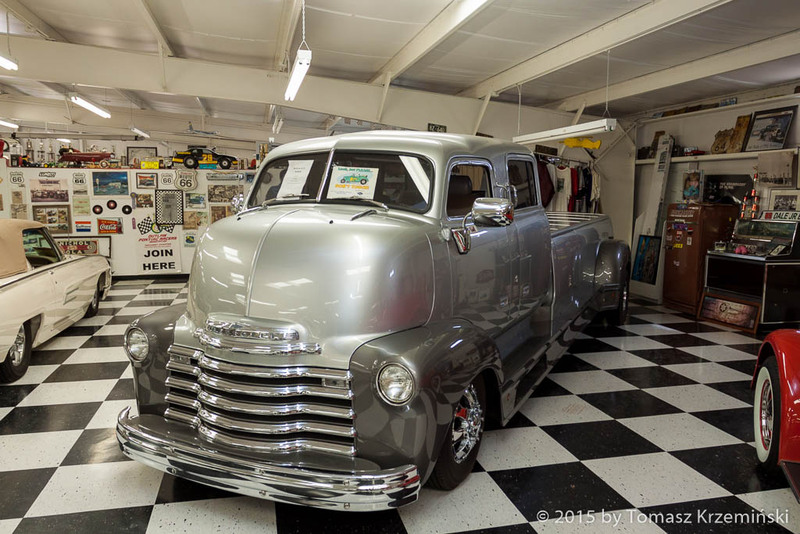 According to the date of company closing you can assume that it was produced in 1957 at the latest. Just like Pontiac standing in front of the motel lobby, although this model I date earlier back to 1952. Cameron! 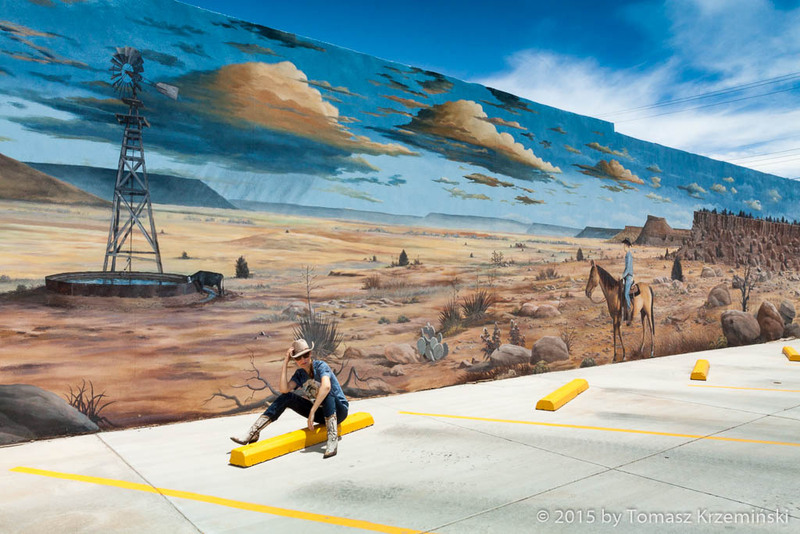 Next time we will come to Tucumcari in the evening to be sure we spend the night at your wonderful motel. 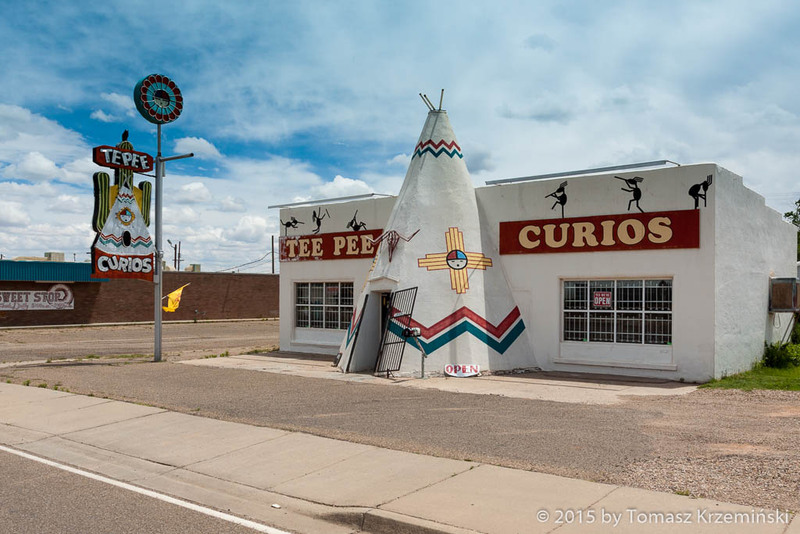 TeePee Curios is a gift shop. It’s a real fun to enter the shop crossing the doorstep of a teepee. Length of Route 66 in New Mexico is ca. 487 miles (ca. 784 km).